Smart Ajax Uploader package gives you server side and client side upload functions intract with database. Also it gives you image resize function for the purpose of generating icons from original image. Pigeon Infotech offers mysql query generator. 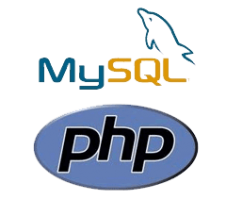 Developers can create a query within few seconds using our mysql-php query generator class. We will release it within next month. High Performance Ajax-PHP Data Grid provide users to customize their search, order by. They can also get data's in pdf. Developers needs to write small and few line codings for create data grid it also include data chart from given query.